We have selected several items from the David Pond current collection. 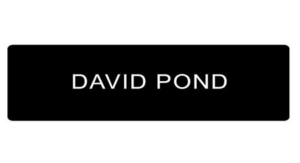 David Pond has been in the fashion industry for over 45 years. He made regular visits to the top fashion cities worldwide and forged relationships with fashion designers and fabric suppliers in the UK, France and Italy. For many years he was a Director of a leading UK fashion company and would source styling for them as well as his own ranges. He established his own Label in 1987. Initially David Pond was a label primarily focused on the commercial younger market and well known for occasion dresses. David’s elder daughter, Vanessa, took over the design roll 12 years ago and today her aim is to appeal to stylish, more fashion – savvy customers. She has continued with David’s philosophy of total commitment of the company’s resources to sourcing fabric and design inspiration and travels to the UK and Europe at least 4 times each year to make sure the DP girls are offered the best mix the market can provide. The David label developed from Vanessa’s exposure to this huge pool of inspiration. David Pond is often like a jigsaw of colour and print that she has to make fit. David is often more subtle, but definitely with an edge. Against the trend, David Pond is still predominately NZ made. David & Vanessa work with a very motivated team and have a close working relationship with local contractors and suppliers. Both labels have a strong presence in NZ and Australia and Vanessa is looking at sales opportunities in Asia and the UK. Exciting times for this New Zealand fashion company.